Used on the face, around the eyes, forehead and chin. 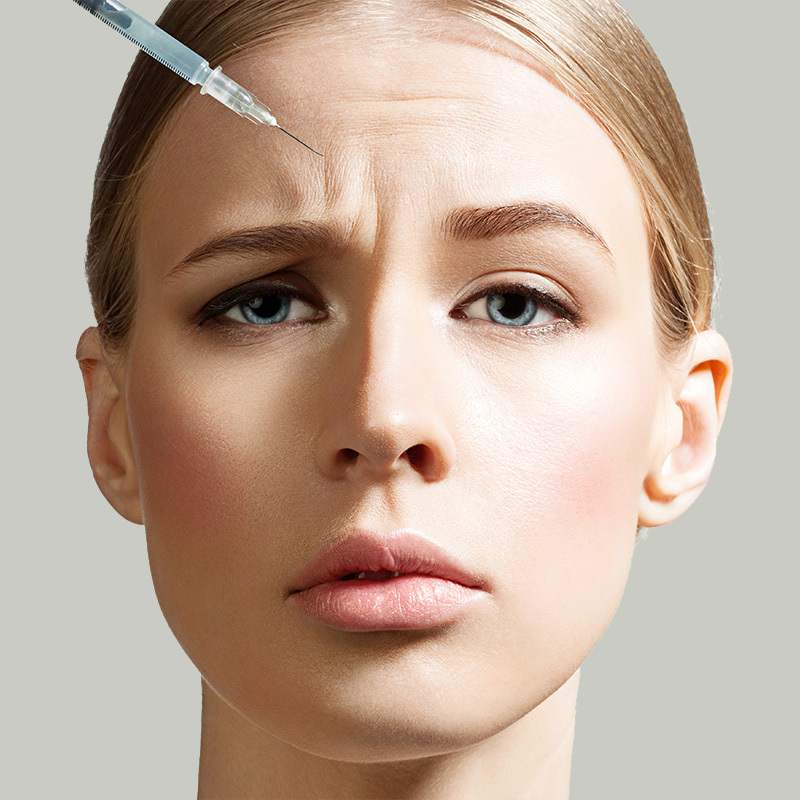 Botox is only injected into overactive facial muscles as these cause the lines and wrinkles. This injectable is very successfully used for treating frown lines, forehead furrows and eye lines (crow’s feet). It is used on the face, around the eyes, forehead and chin. It is only injected into overactive facial muscles as these cause the lines and wrinkles. A small amount is injected into the muscle that creates a line or wrinkle thus blocking the nerve transmission to the muscles under the skin. Wrinkle lines formed by the dynamic action of underlying muscles will then become smoother or disappear altogether. The procedure is not painful. You may feel a slight sensation as soon as the liquid is injected, however this quickly subsides. You may also experience mild temporary discomfort. It has an excellent safety profile and has been approved by international regulatory bodies for cosmetic use. It has been applied for over 30 years without any known long-term negative effects. It is used by neurologists and ophthalmologists at much higher doses than are used to treat facial lines and wrinkles. There may be slight redness immediately after, which settles within a few hours. Application of ice helps reduce any swelling that may occur. The injectable starts to work within three to seven days, however the ultimate result is seen after about 14 days. Should Anything Be Avoided After Treatment? For the first 48 hours it is advisable to avoid vigorous exercise. In the first 24 hours try to avoid applying makeup and for two weeks after avoid extreme heat, including hot tubs, saunas and blow dries. However, you can touch up around the injection sites if needed. Otherwise, life can carry on as normal. The first treatment usually lasts between four to six months, depending on each individual’s response. Repeat treatments on a regular basis have often lasted around six months. Are Any Side Effects Experienced? Side effects, though rare, can occur. They can include slight bruising at the injection site or a temporary headache. Your skin will feel the same after treatment and you will have normal sensation in all treated areas. Muscles that are not treated and are related to other expressions are not affected. Who Should Not Have the Procedure Done? Patients who have a neurological disease (including Multiple Sclerosis and Myasthenia Gravis). This treatment is also indicated for hyperhidrosis, when individuals suffer from excessive sweating of the armpits resulting in the need to change clothes frequently. It is injected into the skin to treat the symptoms of severe underarm sweating (severe primary axillary hyperhidrosis), when medicines used on the skin (topical) do not work well enough in people 18 years and older. In this area, results will last around six to eight months.